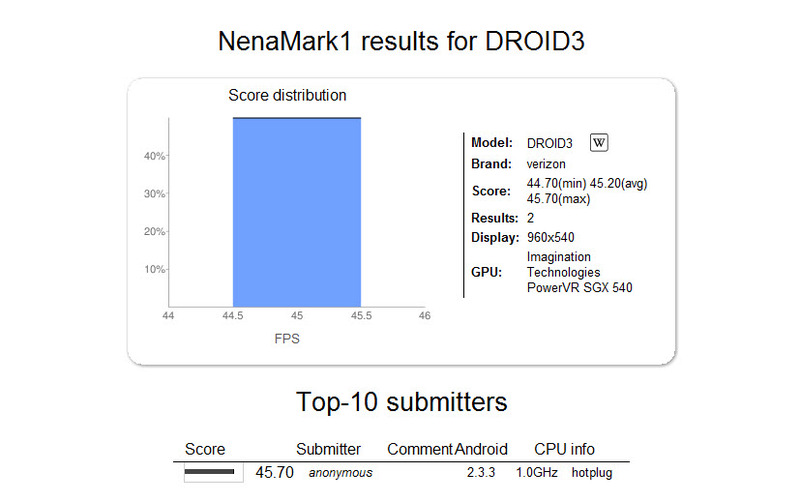 The Motorola DROID3 just popped up over at benchmarking site Nenamark and let slip a couple of details we had yet to fully confirm. With a PowerVR SGX 540 GPU inside, we can basically throw out the idea that it will be powered by a Tegra 2 and instead assume that the OMAP4430 from Texas Instruments’ will be in it. Yes that’s still dual-core, my friends. We’re also seeing confirmation that the screen is qHD at 960×540, plus it’ll be running Gingerbread (or at least was during this benchmark). 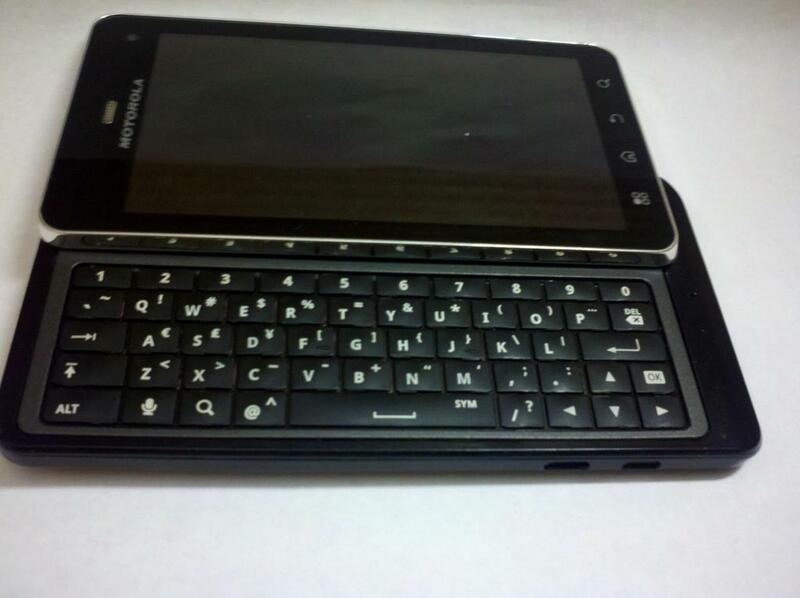 This is essentially what the DROID2 should have been and are excited for it to finally arrive with its front-facing camera and sleek new black and silver exterior. There is no reliable word on when this device might be out and we’re still almost 100% sure that it won’t be LTE, but it’s looking like a beast.